Reprinted from The Ladies' repository: a monthly periodical, devoted to literature, arts, and religion. January 1874, vol. 13, iss. 1, Cincinnati: Methodist Episcopal Church. Etext produced by Jone Johnson Lewis, © 2000. All Rights Reserved. The Sage of Concord has always been noted for his mystic sentences. Occasionally he purchases compression at the expense of clearness, and condenses almost to abruptness. His style – apparently modeled after that of Carlyle – is marred by affectation and conceit. The signal thing about it is manner, not matter; appearance, not substance. Nor glad nor sad. Its name is Nothingness." The Sage of Concord has always been noted for his mystic sentences. Occasionally he purchases compression at the expense of clearness, and condenses almost to abruptness. His style – apparently modeled after that of Carlyle – is marred by affectation and conceit. The signal thing about it is manner, not matter; appearance, not substance. His manner is dogmatic, conceited; for Emerson is, in one respect, in prose, what Byron is to poetry – always veiling his own dear self under the character he draws. Why this style? Why use verbs for nouns – idioms and forms, introduced by way of apprising us that the writer's mother (English) had been sent abroad to be improved, and, in attempting to become accomplished, had lost too many of her home qualities? "Some writers of the present day;" says Mr. Longfellow, "have introduced a kind of Gothic architecture into their style." This describes the style of Mr. Emerson most admirably. All is fantastic, vast, and wondrous in the outward form: but within only the indistinctness of mysterious twilight, and a voice chanting hymn in an unknown language, which need a translation for many of the crowd. An English critic says: "It is better for a man to tell his story as Mr. Irving or Mr. Hawthorne does, than to adopt the style Emersonian – in which thoughts may be buried so deep that common seekers shall be unable to find them.' Irving is so mild and graceful, that we seem to float passively down the mellow falls and winding, of his soft-flowing sentences. He is so natural that the touches of power are everywhere, and it is not necessary that he should tell us by some peculiar verbal facility or aphoristic emphasis, that he wants to make an impression. The "dusty splendor" of Westminster Abbey, the "slip staggering" over the precipice, of the ocean, the "shark darting like a specter through the blue water" – all these things are grandest poetry, such poetry as never was, never will be, surpassed. Mr. Emerson is regarded as one of the leaders of a sect, who, some years since, from the reaction of minds oppressed and narrowed by New England conventionalism and bigotry, and, in some instances, kindled by the speculations of German literature, broke away from the conventional, and sought freedom in the transcendental school. In the "Memoirs of Margaret Fuller Ossoli," the movement is described and the principles of its disciples hinted rather than explained. "The rise of this enthusiasm,"' says the biographer of that transcendental sibyl, "was as mysterious as that of any form of revival; and only they who were of the faith could comprehend how bright was this morning-time of a new hope. Transcendentalism was an assertion of the inalienable integrity of man, and of the ordinances of divinity in instinct. . . . On the somewhat stunted stock of Unitarianism — whose characteristic dogma was trust in individual reason as correlative to supreme reason — had been grafted German idealism, as taught by masters of most various schools." We, therefore, warn the admirers of Emerson's characteristic genius against a doctrine which tampers with the eternal distinction between right and wrong, and seeks to undermine the very foundation principles of a divine revelation. Whoever turns to his "Essays" for a system, a code, of even a set of definite principles will be disappointed. His tildes are as destitute of Scriptural authority as his poetry is of life and his philosophy of wisdom. Says the Rev. Henry Tullidge in his "Triumphs of the Bible:" "The oracular utterances of Emerson are but a revival of Spinoza's pantheism." 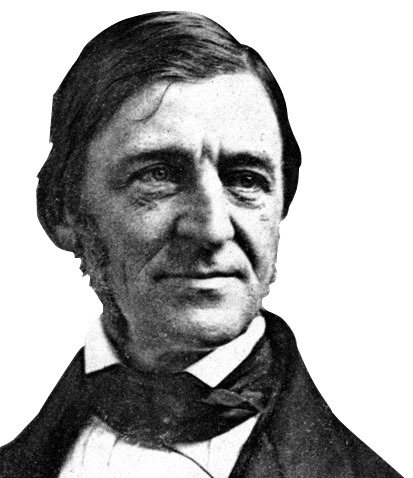 Emerson does not coldly deny Christianity, like the English deist; nor flippantly denounce it as imposture, like the French infidels; but seeks, after his own fashion, to appreciate its beauties and genius, and by speculative criticism to separate from it what he deems to be the truth. He claims for the human intellect the power and authority to judge what is proper and right to be revealed from heaven. The real design of this teaching – which is to substitute for revealed religion a showy intuitionalism, which draws all truth out of the depths of the soul – is hidden beneath the mask of Christian profession; it is, therefore, having an effect only the more baneful because its deleterious influence is not generally appreciated. We are told that the traveler in Northern India, passing a field of poppies, feels an almost irresistible desire to lie down by the road-side, and enjoy the balmy breeze, laden with delicious perfume. Once yielding, he lies down to wake in another world. Many noble minds have likewise fallen a prey in the narcotic influence of these heresies, which, stupefying our religious nature, wrest from us the anchor of our great hope. Flowers to the ray, and warbles as it flows."